October 2015 – Dizney Wizard – Nicole! 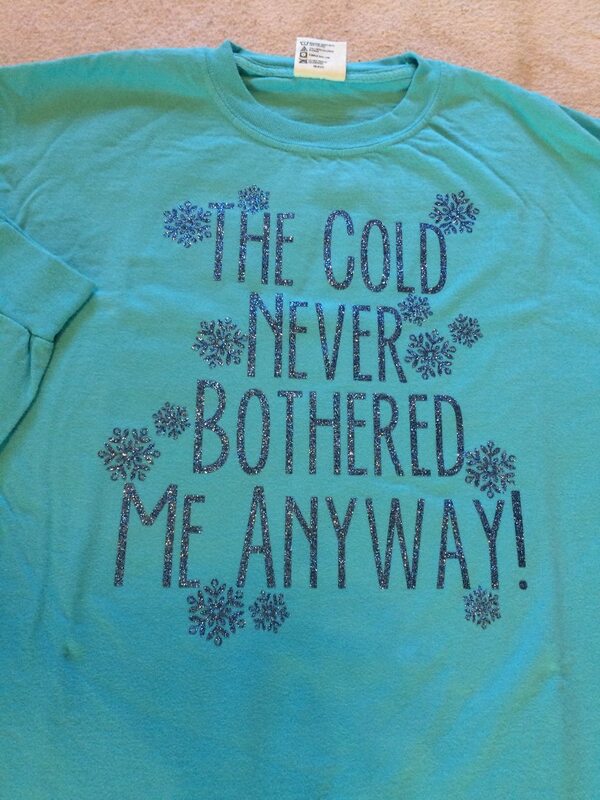 A Disney Christmas: Custom T-Shirts! 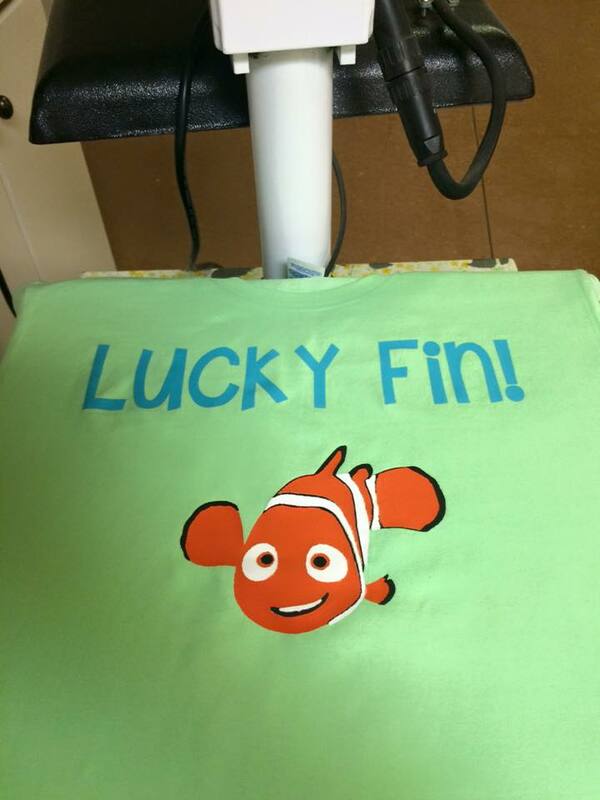 I have been in the process of making custom t-shirts for our upcoming trip! Here are a few that I have already done! 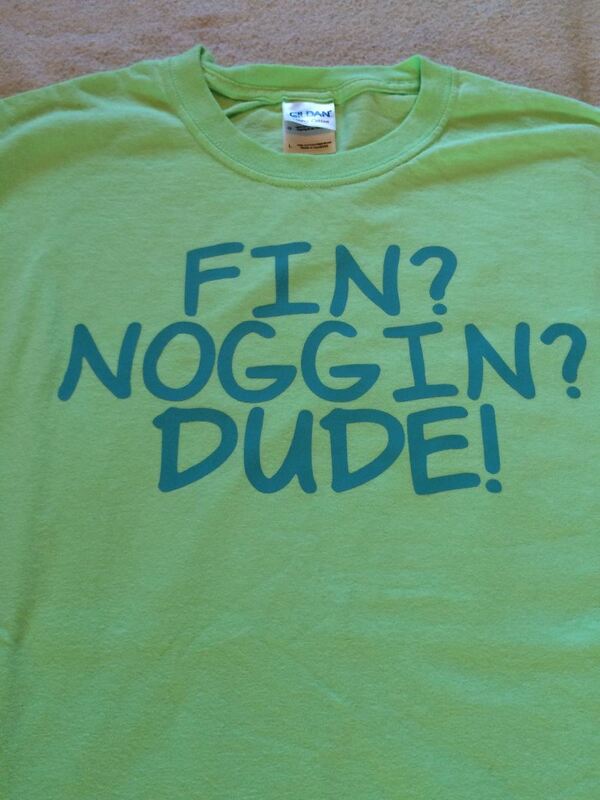 If you are interested in getting t-shirts made for your next Disney Vacation, contact me today! I have Cricut Expression that I use to create and cut out the images on heat transfer vinyl! 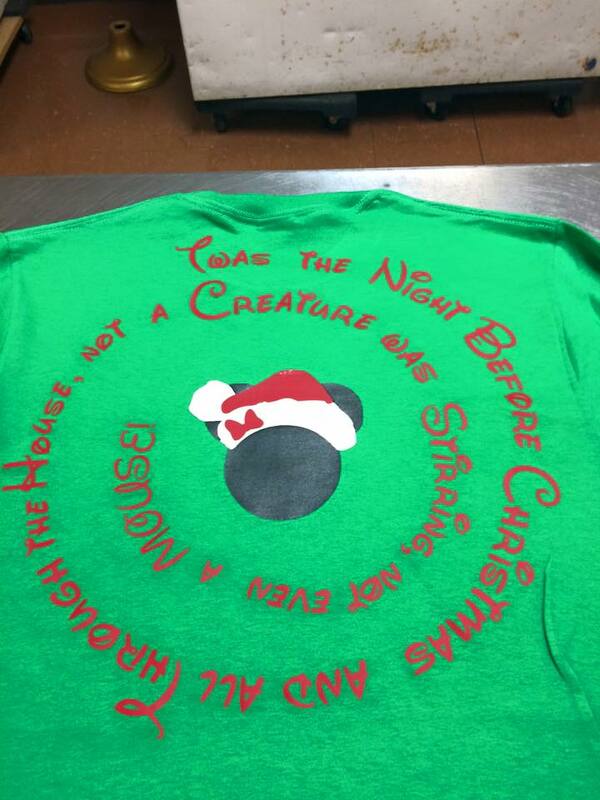 Below is the back of our Christmas Party T-Shirts! 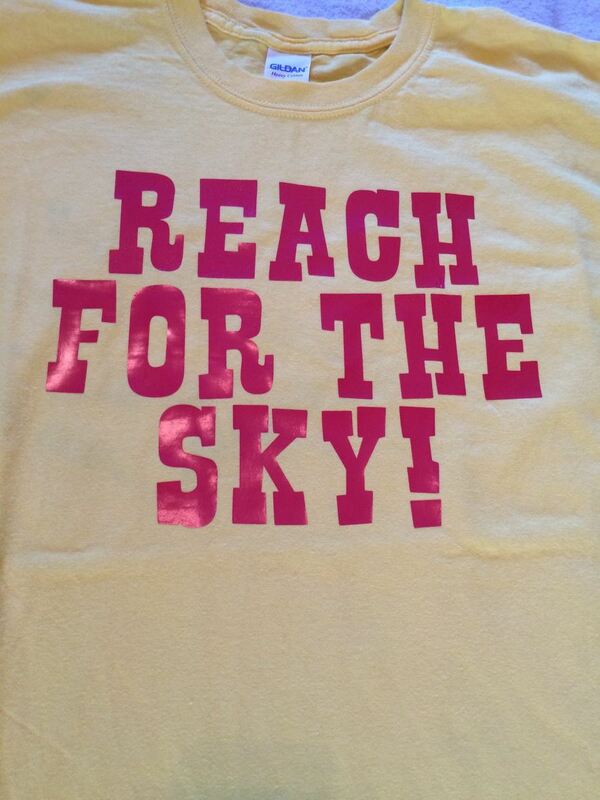 More shirts to come! Stay Tuned! Format AsidePosted on October 26, 2015 Categories Walt Disney WorldTags Custom T-Shirts, Get the Magic StartedLeave a comment on A Disney Christmas: Custom T-Shirts! A Disney Christmas: FastPass+ Selected! So I’m a little late at posting this but I”ve been pretty busy getting things together for our trip and I’ve been busy with just normal life stuff like work and taking care of my fur babies and husband! On October 12, 2015 my FastPass+ opened! Again we are staying from a Friday to a Monday and we are attending Mickey’s Very Merry Christmas Party on Sunday night! On Friday we plan to get into Walt Disney World in the morning, if everything goes smoothly and according to plan! But when does that ever happen!?! After we check-in to our resort, Art of Animation, we are heading to EPCOT! I have reserved us FastPasses for MISSION SPACE!, EPCOT Character Spot and Soarin’! Since we chose Soarin’ as our tier one FastPass we plan on going on Test Track as a single rider unless the line isn’t too long! After we compete our FastPass for Soarin’ we are going to eat at the Garden Grill for dinner! I have never ate at the Garden Grill so I am very excited to experience that! After our dinner we are heading over to watch Illuminations! I can’t even tell you the last time I have seen Illuminations! EPCOT is usually a rope drop park for us, so we are usually not in EPCOT during the evening. After we watch Illuminations we are calling it a night! On Saturday we are heading to Disney’s Hollywood Studios for rope drop and Extra Magic Hours! We plan to hit up Toy Story Mania and Rock’n’Roller Coaster as many times as we can before our first FastPass at 9:30 am for the Tower of Terror! Hopefully we can ride it more than once as well! Our second FastPass is for Toy Story Mania at 10:45 am. We have never gotten the chance to ride Toy Story Mania so I am trying to ride it as many times as I can! Next we are going to try and attend the Frozen Sing-Along thing, Muppets 3D and the Great Movie Ride. The Muppets and the Great Movie Ride are must do’s for me! Then we are heading over to watch the Indiana Epic Stunt Show at 12:00 pm. I have heard rumors that it is closing with the major update coming for Star Wars Land so I would like to experience that just ONE more time. Plus, I can;t even tell you the last night I saw that show too ( I know it’s the same show as always). Then we are off to our third and final FastPass for Star Tours! We will be ending our day at the parks after this because we will attending Church Saturday evening at Mary Queen of the Universe. We have dinner reservations at Boatwright’s Dining Hall at the Port Orleans Resort at 7:50 pm. We are hoping to either walk around in the Magic Kingdom or Disney Springs before we call it a night. On Sunday we will be going to the Magic Kingdom! We will be getting there at rope drop to see the Welcome Show! I LOVE the welcome show! Once we are allowed into the park we are heading straight for the Seven Dwarf’s Mine Train! We have not rode this ride either and I am really looking forward to it! Then we will be heading over to our first FastPass for Big Thunder Mountain Railroad! This is one of my favorite rides at Disney World! Then we will be heading to the Jingle Cruise (Jungle Cruise) before the lines get too long! Then we will be heading back to Fantasyland to ride Journey of the Little Mermaid before our second FastPass for the Seven Dwarf’s Mine Train. After that I am hoping to try and meet some Princesses! Then we will be making our way to Tomorrowland! My goal this trip is to become a Galactic Hero! Our third FastPass is for Space Mountain! We have lunch reservations for Tony’s Town Square Restaurant! Afterwards I am hoping to either see Mickey at Town Square theater or get a good spot to see the Festival of Fantasy’s parade. I have not yet seen the parade nor have I visited with the talking Mickey Mouse! After the parade or our visit with Mickey we will be heading back to the hotel for a nap! We are attending Mickey’s Very Merry Christmas Party this night and I would like to make the most of it! The party is from 7:00 pm to 12:00 am and we are planning to be on our way back to the Magic Kingdom by 6 so that we can get in line for some rare characters! We will then do the rides that we were not able to get to during the day plus some repeats! I am so excited to see Celebrate the Magic and the Christmas version of Wishes as well as the other Christmas shows during the party! On Monday we will be starting our day out at Animal Kingdom! Our goal will be to get there at rope drop as well, but who knows seeing as we will be out late the night before for our party! Our first attraction will be Kilimanjaro Safaris! This ride is the best at rope drop or in the late evening! We have seen so many animals out and about on the earlier ride! Then we are heading over to our first FastPass Expedition Everest! I really do LOVE this ride! It’s so different than the others! Next we are heading back over to Africa to watch the Festival of the Lion King, which is our second FastPass! After we see this show the plan is catch a showing of Flights of Wonder, grap some lunch at Pizzafari and see some Characters! I am most excited to meet Pocahontas and Russell and Dug! Our last FastPass is for DINOSAUR! I have never rode this ride either. It has always been to long of a line or broken down, so hopefully it will NOT be broken down this time! After we ride DINOSAUR our plan is to head back to the hotel for a nap. We will be heading to Hollywood Studios again for dinner! On Monday night we have reservations for dinner at 50’s Prime Time Cafe’! I have heard so much about this place and I am so looking forward to my Peanut Butter and Jelly Shake! After dinner we will be staking out our spot to see the Osborne Lights! This is their last year and my first time seeing them! This is probably the one thing that I am the most excited about, besides the Christmas party! After we see the lights, we are hoping to catch another ride on Rock’n’Roller Coast or the Tower of Terror before we get in line for Fantasmic! I can’t even tell you the last time I have seen Fantasmic! But whether or not we watch Fantasmic depends on how tired we are because we have to get up the next morning and drive back home. Sorry it took me so long to put out an update on my Disney Christmas Trip! The next update should be sometime in November when we get our MagicBands!!! Format AsidePosted on October 26, 2015 Categories BlogTags A Disney Christmas, Get the Magic StartedLeave a comment on A Disney Christmas: FastPass+ Selected! Want to know how to save a little bit of money on a Disney Cruise? You can also check on these posts! And if you do make a decision and are ready to Get The Magic Started on your next Disney World vacation, Contact Me Today! Or should can simply fill out my FREE Quote sheet by clicking HERE! Retail MagicBand on Demand opens in Tomorrowland at the Magic Kingdom in Walt Disney World! Ever wanted to customize your MagicBand? Well now you can in Tomorrowland at the Magic Kingdom in Walt Disney World! MagicBand on Demand is a new station inside the Tomorrowland Power & Light Co. located near Space Mountain at Magic Kingdom Park. This new offering is similar to the D-Tech on Demand boutique first introduced in June 2014 at the Marketplace Co-Op in Disney Springs™ Marketplace. At the Tomorrowland location, you can choose to create either a retail MagicBand or a D-Tech phone case. When creating a retail MagicBand, you can choose from eight different MagicBand colors – including purple – as well as approximately 40 graphics. There will be a few MagicBand graphics that will only be found in this location that salute classic Magic Kingdom Park attractions and icons. In addition to artwork, the retail MagicBand can be personalized with a name printed on the outside. Once designed, the retail MagicBand is printed in the location. The printers use UV ink which dries immediately and requires no cooling time. And, for the final step, the custom retail MagicBand can be either associated to your My Disney Experience account, or given to friends and family who plan to visit Walt Disney World Resort soon. You can see some of the examples in the picture above! The cost for a custom retail MagicBand is $21.95, while a personalized retail MagicBand is $29.95. Format AsidePosted on October 26, 2015 Categories Offers & Promotions!Tags D-Tech, Get the Magic Started, Magic Kingdom, MagicBands, Offers and Promotions, Tomorrowland, Walt Disney WorldLeave a comment on Retail MagicBand on Demand opens in Tomorrowland at the Magic Kingdom in Walt Disney World! Enjoy Minnie’s Seasonal Dine at Hollywood & Vine Year-Round! I have shared once before about an all new dining experience with Minnie and friends at Hollywood Studios’ Hollywood & Vine during the Holiday Season, Minnie’s Holiday Dine at Hollywood & Vine Dinner. Well now I’m excited to share that Minnie and friends will continue to host dinner at Hollywood & Vine year-round! Minnie’s fabulous dinner parties celebrate the cheerful togetherness of the holidays, the glamour of Hollywood, the delight of spring, the excitement of summer and the frightening fun of Halloween. Each season, this dining experience will feature unique music, décor, all-new costumes, menu items and interactive musical moments. Celebrating the magic of the movies and the glamour of Hollywood, the next seasonal dining experience will take place Jan. 4- March 20, 2016. Reservations open Oct. 27, 2015 and are available by calling 407-WDW-DINE, online at Disneyworld.com/dine or you can get reservations through your local Disney Travel Agent! And, if you and your family are looking for even more magic, they can add the Fantasmic! Dinner Package to their meal. Book Minnie’s Seasonal Dine at Hollywood & Vine for you and your family today! Comment below and tell me about your favorite Character Dining at Disney World! Thank you for your Time, Likes, Shares & Comments! Format AsidePosted on October 26, 2015 Categories Offers & Promotions!Tags Celebrating at Disney, Character Dining, Character Dining Locations, Character Meet and Greets, Fantasmic, Get the Magic Started, Hollywood Studios, Minnie, Offers and PromotionsLeave a comment on Enjoy Minnie’s Seasonal Dine at Hollywood & Vine Year-Round! Having trouble deciding on when you should plan your next Disney Vacation? Check this video out to get a better understanding of the crowds! You can also check out these posts! YouTube Video: Pro’s and Con’s of Staying On-Property vs. Off-Property! If you are in limbo of deciding whether or not you’re going to stay at an On-Property Hotel or an Off-Property Hotel for your Disney World Vacation, then check out this video! Posted on October 12, 2015 October 20, 2015 Categories BlogTags Get the Magic Started, Walt Disney World, Walt Disney World Resorts, YouTubeLeave a comment on YouTube Video: Pro’s and Con’s of Staying On-Property vs. Off-Property!